FC Barcelona sent a message that echoed all through Top 16 Group F by downing Fenerbahce Ulker Istanbul 60-99 in Turkey on Thursday. Barcelona improved to 7-1 to remain atop Group F. Fenerbahce dropped to 2-6 and saw its playoff hopes take a serious hit. Pete Mickeal paced the winners with 17 points on a perfect shooting night. 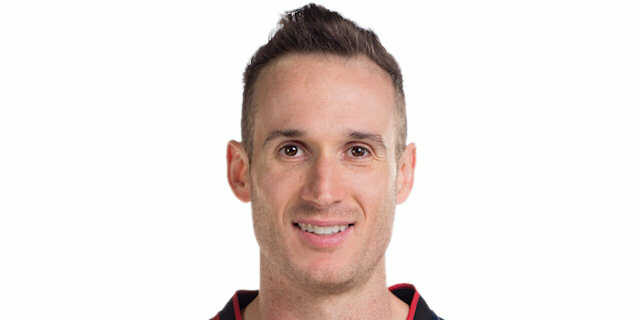 Marcelinho Huertas and Ante Tomic each added 14 while Juan Carlos Navarro and Joe Ingles netted 13 apiece for Barcelona. 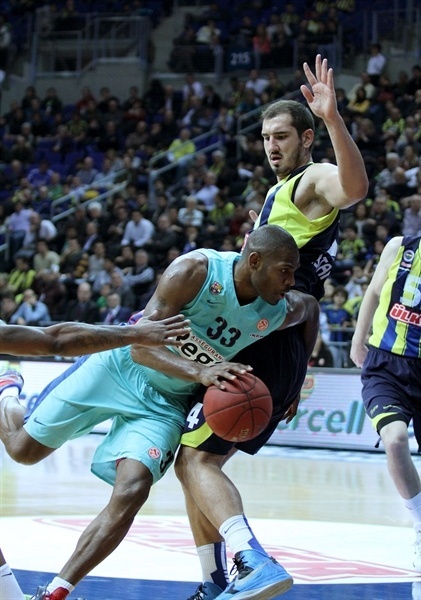 Bojan Bogdanovic had 18 points for Barcelona and Bo McCalebb added 17. A 0-9 run that Navarro capped with a three-pointer gave Barcelona a 6-15 lead. Navarro hit two more from downtown to make it a double-digit game, 13-23, after 10 minutes. Huertas and Tomic fueled a 0-10 run that Xavi Rabaseda capped with a dunk to break the game open, 15-33. Barcelona kept rolling, led by an outstanding Huertas, and boosted its margin to 19-50 at halftime. That 31-point lead broke an all-time Euroleague record for both the biggest halftime lead for a team on the road and the greatest halftime margin in Top 16 history. Nothing changed after the break, as Barcelona boosted its margin to 40-76 after 30 minutes and never looked back. Tomic got Barcelona going with a jump hook and Erazem Lorbek beat the buzzer with a jumper for a 0-4 start. Fenerbahce was held scoreless for more than two minutes until Bogdanovic stepped up with a jumper. David Andersen and Lorbek traded put-back layups and a backdoor basket by McCalebb tied it at 6-6. 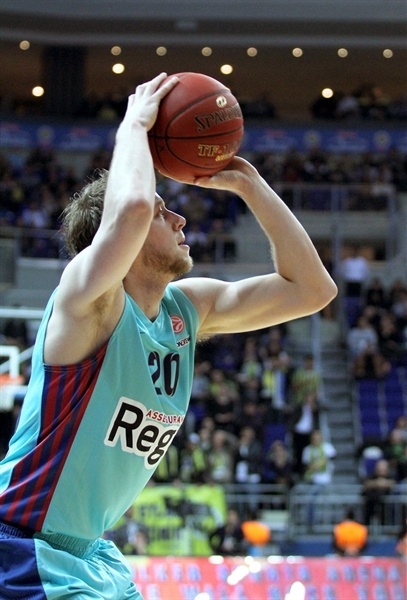 Lorbek kept pacing Barcelona with a close jumper, as Barcelona raised its aggressiveness level on defense. Mickeal scored down low before Tomic hit a jump hook. The hosts kept struggling to score off a timeout. Navarro struck from downtown to make it 6-15, after a 0-9 run. McCalebb tried to change things with a running jumper and a wild driving layup, but a put-back basket by Tomic kept the guests way ahead, 10-17. Bogdanovic nailed a catch-and-shoot triple that Navarro erased at the other end and beat the shot clock with another shot from beyond the arc for a 13-23 Barcelona lead after 10 minutes. Bogdanovic shined with a fast break layup early in the second quarter. C.J. 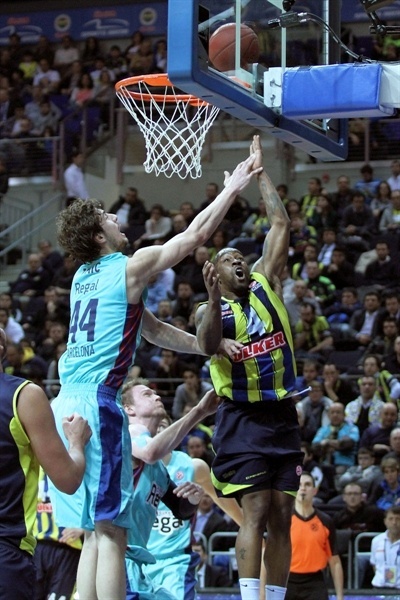 Wallace fed Nate Jawai for an easy dunk and a tip-in by Mickeal forced Fenerbahce to call timeout at 15-27. Huertas swished a five-meter jumper aa Barcelona kept dominating the game with outstanding defense. Free throws by Tomic and a huge dunk by Xavi Rabaseda capped a 0-10 run that broke the game open, 15-33. Onan downed free throws that Huertas erased with an acrobatic basket. Sarunas Jasikevicius hit free throws to make it a 20-point game. Romain Sato stepped up with a coast-to-coast layup, but Jasikevicius fed Tomic for a slam and Huertas banked in an off-balance shot that caused Fenerbahce stop the game at 19-41. Marko Todorovic came off the bench and took over with a put-back basket. A three-pointer by Huertas boosted the guests' lead even more before Tomic buried a jumper in the paint and a wild buzzer-beating basket by Huertas fixed the halftime score at 19-50. Bogdanovic and Victor Sada traded free throws right after the break. McCalebb tried to change things with a driving layup, but Navarro beat the buzzer with his trademark 'bomba'. Bogdanovic hit back with a three-pointer. Mickeal sank a baseline jumper before a power basket by McCalebb brought the hosts within 28-56. Mickeal stepped up with a tip-in that Bogdanovic bettered with a corner triple. Tomic and Sada fueled a 0-7 run, which Mickeal capped with a jumper for a 31-64 Barcelona margin. McCalebb scored again and Kaya Peker found his first points, but Navarro and Mickeal gave Barcelona another new game-high lead, 35-69. Peker and Mickeal traded baskets and a free throw by Bogdanovic made it 38-71. Peker and an unstoppable Mickeal scored again before a three-pointer by Joe Ingles boosted the guests' lead to 40-76 through three quarters. Huertas struck from downtown early in the fourth quarter. The outcome was clear, but Barcelona kept rolling. Ingles downed his second three-pointer for a 41-82 Barcelona margin. The guests kept using long possessions to get open shots and run the game clock down. Ingles scored in penetration, but Ilkan Karaman matched that with a close basket and Oguz Savas split free throws for a 44-84 score with six minutes to go. McCalebb followed a layup with a three-pointer, but Jasikevicius kept Barcelona way ahead, 49-89, with over three minutes to go. Even though Fenerbahce kept trying, everything was said and done as Barcelona cruised to a no-doubt-about-it road win. "We started the game well but after missing some easy shots and not getting some foul calls from the refs, we were down mentally and physically. We couldn’t do what we did in the [Turkish] League and the Turkish Cup. We played against a team which had just two losses. When they find a team going down easy like us, they finish the game quickly. Our players are challenging, but losing energy when they fall back. Our percentage inside the paint was disasterous. We have to accept this situation and get ready for Besiktas in the [Turkish] league." "We are happy with this win in an important game for us. 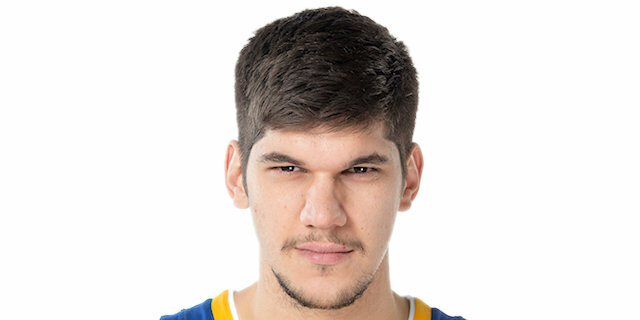 We had seen before the game that Fenerbahce Ulker was playing really well. 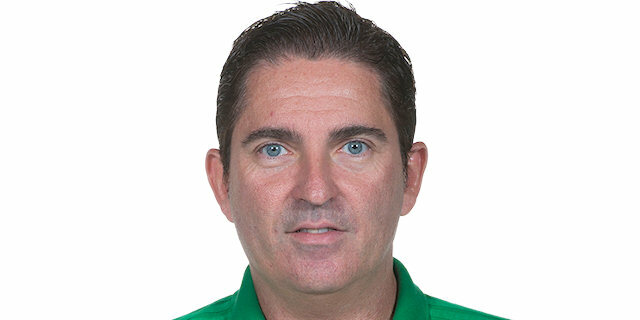 It recently won the Turkish Cup title and got six consecutive wins at home, as well as two consecutive Euroleague home wins against Khimki and Besiktas. We had a good start, holding Fenerbahce off in the beginning. We were strong on defense and the game was balanced in the opening five minutes. We managed to increase our lead, were solid on defense and that allowed us to play a very good second quarter. At times we played brilliantly both on defense and offense. We broke the game and kept fighting and working in the second half. We kept working in the right direction." "It was a terrible night for us. There’s nothing much to say about the game. The only thing we can say is that we apologize for what our fans watched tonight." "This is a very important win for us. We expected it to be more difficult than it was. We had a really good start, did things that coach wanted to and everything went perfect." "We played a very good game from the very beginning. We made Fenerbahce feel uncomfortable, especially with our good defense. We managed to get a big lead in the first half. They threw in the towel and we controlled the game pretty well from that moment."